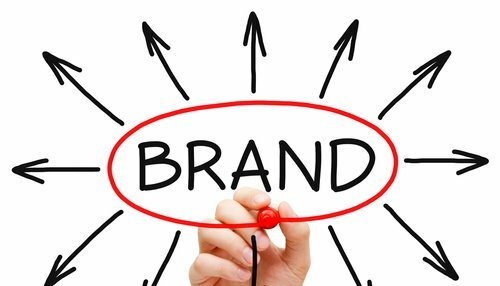 Most companies that have been around for years have built up their brand identity to the point that it’s ingrained into the minds of the public. Some may think that it may be so effective that the company doesn’t have to work too hard to keep the momentum going. But even the largest corporations in the world have to spend money on advertising. And, even the biggest companies across the globe occasionally find the need to rebrand for one reason or another. Sam Walton built his little department store into a mega-million corporation by promising the lowest prices available on everyday products that the average consumer needed. Within Sam’s lifetime, Walmart grew into the epitome of value shopping in America. With a tagline that read, “Always Low Prices,” the message was crystal clear what this store offered. Still, the world changed. Walmart soon became the target of environmentalists and civil rights activists who claimed that Walmart’s low prices came at the cost of fair wages and poor treatment of its thousands of low paid employees. Sam Walton’s heirs quickly recognized that they needed a rebranding to combat the negative light that Walmart was being scrutinized under. In 2008, Walmart rebranded itself as an eco-friendly store that offered a better lifestyle to everyone, in all income brackets. It’s new tagline, “Save Money. Live Better.” was accompanied by a new logo featuring a graphic sun image. Many stores across the nation underwent a new paint job to go along with the natural image Walmart sought to project. Blue and gray Walmart stores changed to sand and cream almost overnight. This is the perfect example of a seemingly untouchable monolithic retail giant risking everything so it could fit in with a changing public dynamic. Other examples include Pepsi, Nike and Cocoa-Cola. If these corporations can recognize their own imperfect branding, isn’t it time you did, too? Even small businesses need to rebrand every now and again to reach the next level in their own evolution. Look at this expert interview with Michael Redmond on the importance of natural products, and business success. In it, the CEO of this personal care brand saw that their brand message needed to change in order to reach their target customers. Whatever industry you’re in, it’s critical to change with the times in order to stay afloat. Just like anything else, the public tires of older brands and they may start seeing your products as things that belonged in their grandparent’s generation, not theirs. When you rebrand, you have the opportunity to position your company firmly in the present, meeting the needs of young customers today. Rebranding success requires almost instantaneous change, like the signs and colors that changed almost overnight in Walmart’s rebranding case study. Rebranding shouldn’t be gradual, and you shouldn’t try it alone. Seek the counsel of a rebranding expert to determine what you need and where your company wants to be in the future of commerce. ← Is It Time to Go the Franchise Route?